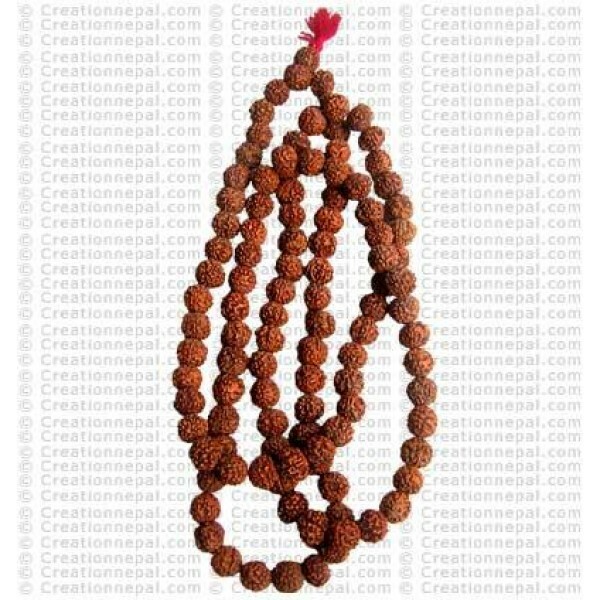 Traditional prayer beads ''RUDRAKSHA'' is used as an auspicious MALA. The mala is made of 10-11 mm 108 beads. Since the product is entirely handmade; NO two are alike, hence there can be slight variation on given measurement and color.